The other night, I decided to go on a burrito run beyond midnight. I was starving, so I opted to have an old fave from my working girl days: the breakfast burrito with steak. 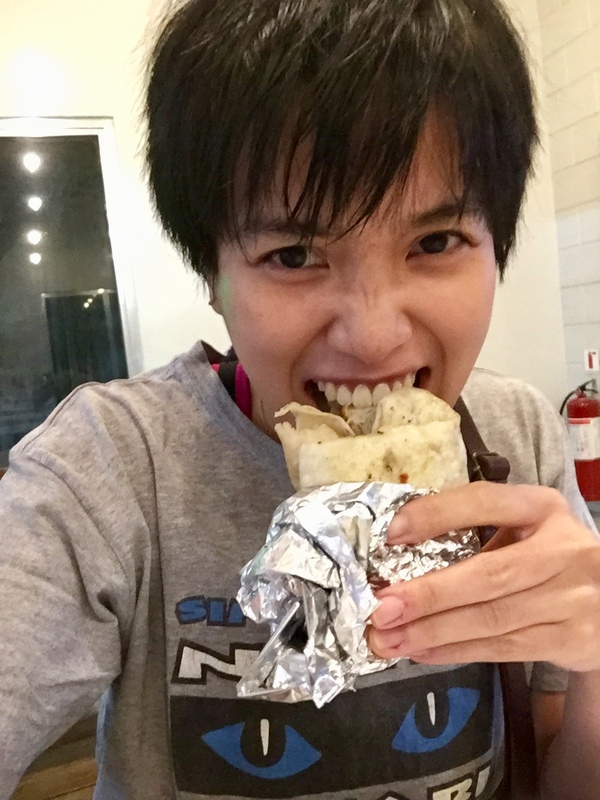 Army Navy still serves an awesome burrito! It was packed with goodness, and I really got great value for my money. After my delicious snack, I crocheted until I fell asleep. It is truly a charmed existence as take care of myself while also caring for a sick family member. I find ways to have things to look forward to, such as a spontaneous late night meal or a crochet project. Life’s still beautiful.